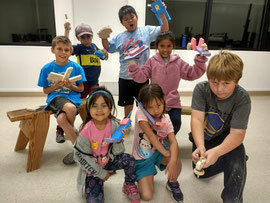 Kids' Carpentry offers classes at numerous sites around the bay area. If you send me an email I will direct you to the Kids' Carpentry teacher and program site closest to you. At the moment we are upgrading this website so I apologize for the extra step in finding the appropriate.